“He’s protective of me,” Conway said about the president in an interview Thursday with Fox Business’s Maria Bartiromo. “I appreciate the president defending what he thinks is unfairness,” Conway said. 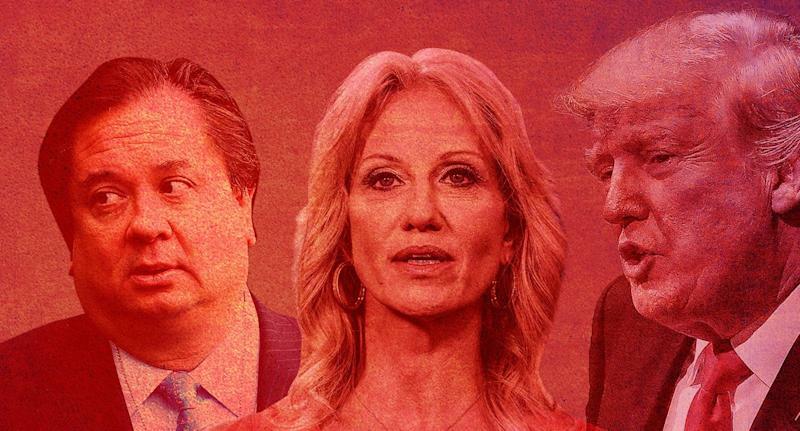 In recent days George Conway, a prominent conservative lawyer, tweeted about his wife’s boss. “His condition is getting worse,” Conway wrote, after citing sections from the Diagnostic and Statistical Manual of Mental Disorders defining narcissistic personality disorder and antisocial personality disorder. Following the war of words, Kellyanne Conway came out in defense of the president. In an interview with Politico Wednesday, she said Trump hadn’t previously responded to her husband out of respect for her. George Conway told the Washington Post this week that although he is proud of his wife, he wished she did not work for the White House.